While it’s been a very, very, long time since I’ve actively been blogging here, or over on Notes From Nexus (Hey.. I’ve been really, really, busy in RL.. and had time to either play some games, or write about them.. I chose to play them when I could). 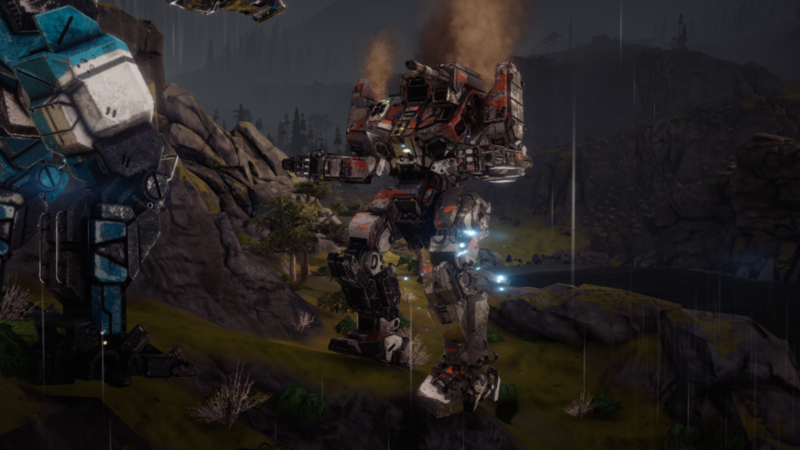 The return of BattleTech as a turn based game (instead of FPS a la MechWarrior Online)… is enough to bring any die hard ‘Mech lover to the internet. Harebrained Schemes completed their Kickstarter back in November, and raised enough to fund the game, and hit all their stretch goals… And this week… the Backer Beta went live! 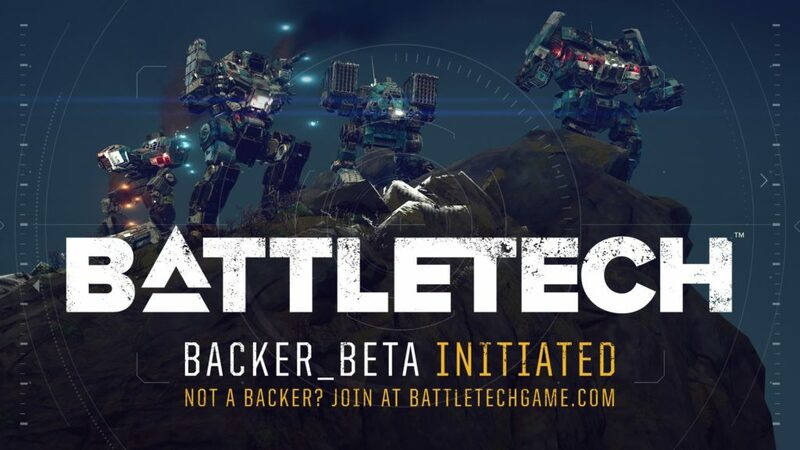 Like any good BattleTech vet… I of course backed the Kickstarter at a level to get me into the Beta.. so, now that I’ve had a couple of days with the beta.. I’ll share my brief review. Beta currently consists of skirmish matches against the AI across a handful of maps.. Match setup is pretty straightforward, you select a C-Bill ‘cap’ for the match (all ‘Mechs have a C-Bill price tag, and your lance of 4 must come in under the cap you specify). Since it’s vs AI, you can select which opposing Lance you play against (or, use the random option) – enemy forces must fall under the C-Bill limit as well. I don’t like that Multiple Attacks is a pilot skill, since that’s something every MechWarrior can do in the TT game.. the rest are.. interesting (Evasive Move is totally OP currently.. 100 Ton Atlas dodging everything that gets thrown at it). Sensor Lock is great for allowing indirect fire at your target from lance mates who wouldn’t normally have a shot. For lance composition, you can either choose one of the stereotype lances from the drop down, or manually fill your lance from the available roster by clicking on the ‘Mech. 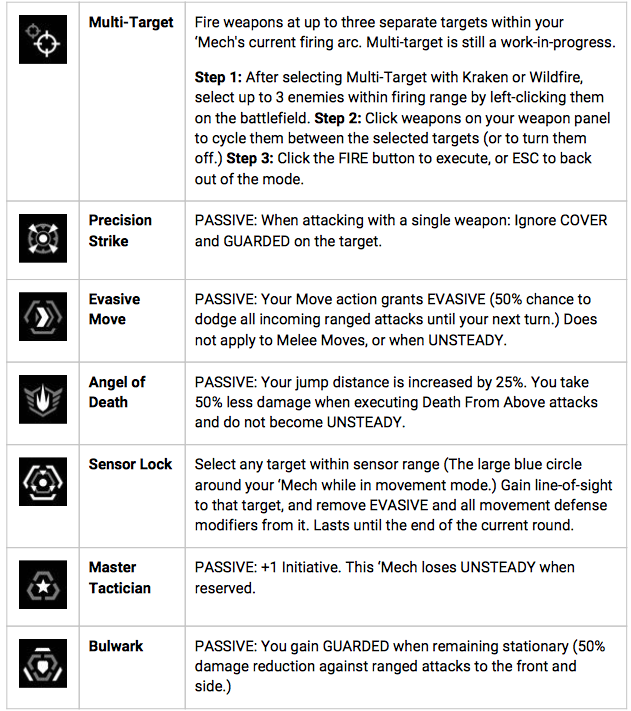 Select your ‘Mech, your MechWarriors…choose an opponent lance…and you’re off to the fun stuff. It’s clear that one of the HBS’ goals was to have someone be able to sit down and play a match in about 30 minutes (all my matches so far have been between 20-40 minutes). The arena maps are all relatively small, ensuring that you’ll run into your enemy inside of 3-4 turns at most.. The HBS team has done an amazing job at capturing the feel of a table top BattleTech game overall.. The music sets the stage properly, the sound effects contribute to the immersion..and oh yeah.. I don’t have to reboot into Windows to play a game.. I can get my ‘Mech fix on Mac OS! Those are sparks coming from damage on the leg! That’s amazing attention to detail… that might never get seen if people stay zoomed out. 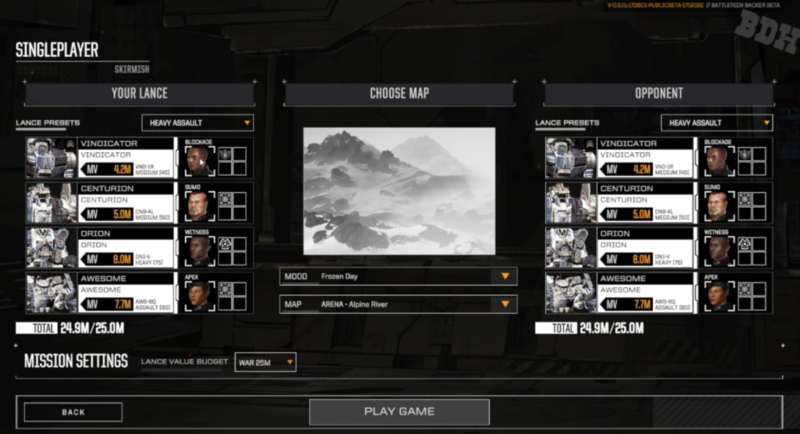 More Camera options – missile chase cam, ‘Mech chase cam, kill cam, etc..
Don’t pop up the ‘mission accomplished’ screen.. until after we’ve been able to watch the last ‘Mech on the opposing team finish blowing up. More C-Bill limit tiers, or even an unlimited (though this is more relevant for multi player when that is added). Slightly bigger arena maps.. I’d like to be able to have time to setup a better ambush for the AI (or, human opponent in multiplayer) getting into contact in 2-3 turns doesn’t allow for that. Yes, I know that means there is the risk of both sides going into ambush mode, and no one attacking, but throw a timer on the match and that’ll help avoid those situations. More ‘Mechs! I’d love to see the entire 3025/3026 TROs (ideally, with all the Unseen included). More Maps/Weather Conditions – I don’t know if we’re only being given a limited amount of each for beta, or if what’s in beta is all we’ll see for launch.. but either way.. more please! I realize this is a very rambly post.. and I’m sorry about that.. it’s hard to get back into the swing of things after such a long break. I’ll get more coherent as I get back into things.. so look for more regular updates.